Katowice on Climate Change – Adolf Hitler did it and the Conference ignores it! mere four months in January 1940. Several thousands of climate experts from around the world arrived for a conference on climate change, hoping to find a way the implementation of the Paris Agreement on climate change (adopted in December 2015). In Katowice, Poland, the Parties are aiming to finalize a detailed set of rules and guidelines – the so-called Paris ‘work programme’ or ‘rule book’ from 2-14 December – which will enable the landmark accord to be put into practice all around the world. Particular is the monetary aspect, namely the promise to raise $100 billion a year, from both public and private sources, by 2020 to help developing countries address climate change. The sum is mind-boggling, and the complete ignorance to simple historical events – for example the arctic winter in Europe 1919/40 – is shocking and dangerous. The Second World War (WWII) was only 100 days old when weather in Europe started to run amok. It is easy to compile several dozen ‘unexpected and unusual’ events indicating that the weather started to leave common standards since December 1939. 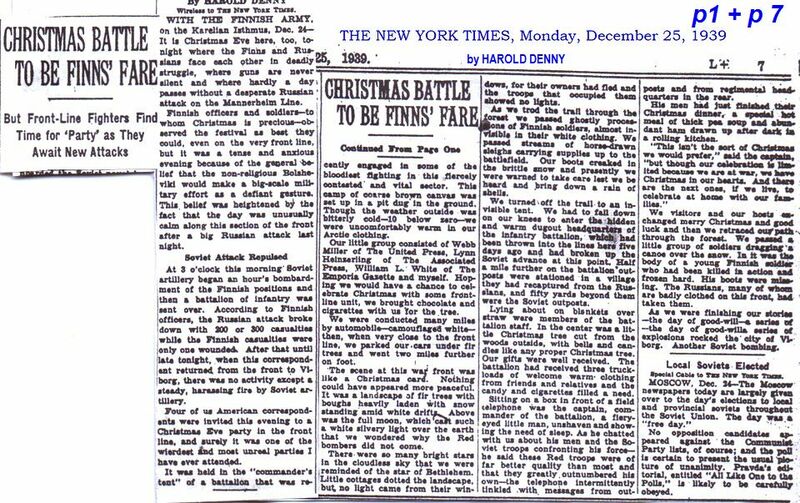 What happened as early as at Christmas Eve in Finland will be presented at the end of the post, as the climatic drama first culminated in January 1940, but continued well until mid-February, which is thoroughly discussed in numerous book chapter, online HERE & HERE. One of the climatic high-lights of the winter 1939/40 had been a number of all-time cold records at many location in the Baltic Sea region, for example in Hamburg, on 12. February 1940. Almost a month earlier Poland reached to all time low, which brings us back to the current gathering in Katowice. In 277km distance in NNE and about 50km west of Warsaw is the village Siedlce. Already on the 11th of January 1940 the thermometer dropped to the incredible level of minus 41°C, respectively minus 41,8°Fahrenheit. At that time the Baltic Sea was still not covered with sea ice, which only happened in early March 1940, and for the first time in the 20th Century. How that could happen so suddenly, after the year 1939 had been within the normal temperature range, actually there had been a lasting warming since 1918, and the late 1930s had been the highest ever recorded. Too warm water in the baby-tube in cooled down by churning the water with the hand around. The North and Baltic Sea are like the baby-tube, warned during the summer season. If forcefully churned in autumn and early winter, any stored heat diminishes quickly, opening the way for cold air in anti-cyclones (high-pressure) to move frm Siberia westwards up the shores of the North-Atlantic, denying low pressure cyclones to travel straight eastwards, directing them either to the Barents Sea or South to the Mediterranean Sea. December 24th 1939: Report by James Aldridge: “The cold numbs the brain in this Arctic hell, snow sweeps over the darkened wastes, the winds howl and the temperature is 30 degrees below zero (minus 34.4° C). Here the Russians and Finns are battling in blinding snowstorms for possession of ice-covered forests. …I reached the spot just after the battle ended. It was the most horrible sight I had ever seen. As if the men had been suddenly turned to wax, there were two or three thousand Russians and a few Finns, all frozen in fighting attitudes. Some were locked together, their bayonets within each other’s bodies; some were frozen in half-standing positions; some were crouching with their arms crooked, holding the hand grenades they were throwing; some were lying with their rifles shouldered, their legs apart….Their fear was registered on the frozen faces. Their bodies were like statues of men throwing all their muscles and strength into some work, but the faces recorded something between bewilderment and horror”. For 79 years a rich set of weather data is available. The war parties collected them abundantly. The proofed easily that the German Reichkanzeler could have trailed and convicted as the first climate-change criminal. But climate science is not interested. They consume billions and billions in research a possible CO2 menace, ignoring the realistic threat by human activities in the marine environment. Presumably the biggest disaster concerning anthropogenic climate change matters.